This article was posted on Friday, November 13th, 2015 at 1:51 am and is filed under Tours of Peru. The Catholic feast day of Our Lady of Mount Carmen (Virgen del Carmen) falls on July 16th. Paucartambo celebrates in a way that has become world famous, with an outrageously raucous and colorful event. 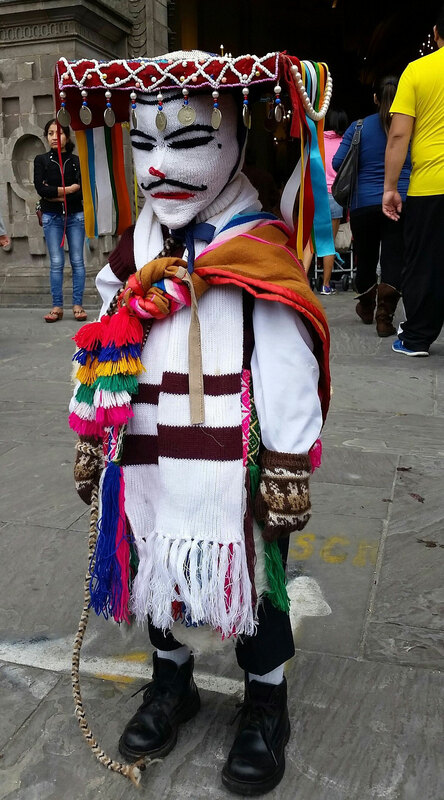 Elaborately-costumed players dance and parade along the streets of the tiny town carrying an image of the Virgen del Carmen that was blessed by Pope John Paul II during his first visit to Peru in 1985. Peru is a Catholic country. 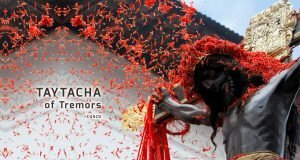 The event honoring the “Mamacha del Carmen” (Lady of Carmen) combines the rituals of Catholicism with the centuries-old Andean traditions. Masses are celebrated each morning and evening, when the faithful the Lady for the year’s blessings, and ask for health and prosperity during the next year. The celebration begins at noon every July 15th, when the thunder of rockets and ringing of bells officially opens the festival. Dance troupes thrill watchers with their masks and costumes. 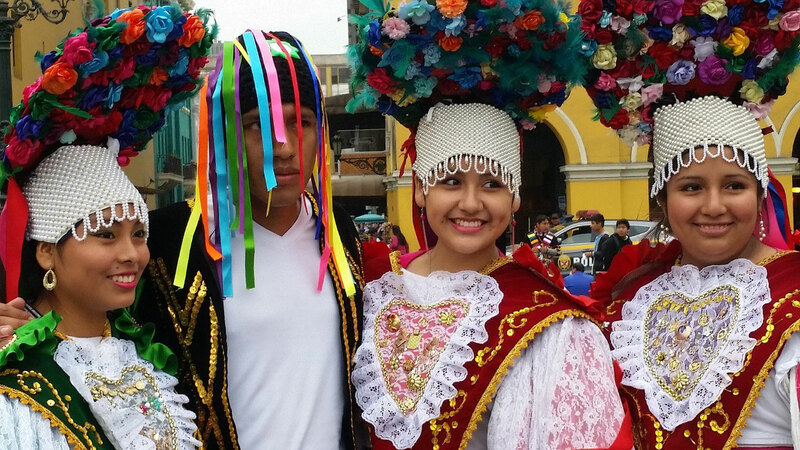 Each troupe has its own theme, telling a story based on Andean history as they dance towards the small town’s cathedral for the “Cera Apaykuy” ceremony. At night, the dancers retreat to a large home or venue where the sumptuous Andean food is plentiful, as are the beer and pisco. The venues are filled to the brim with people – campesinos and tourists alike – who stretch the party well into the night. If at all possible, tear yourself away from the party for a little while and visit Tres Cruces, an overlook with a spectacular view of the amazon about two hours from Paucartambo. You can hire a truck, or take one of the minibuses, which make the trip back and forth all night long during festival days. July is also one of the best times of the year to visit Tres Cruces at sunrise, when the view is even more spectacular. Many of the visitors to the festival are campesinos, who come as pilgrims and make the trek along the dangerous mountain route leading to the town every year. Tourists often choose to take one of the buses from Cusco, which depart frequently during festival days. The most difficult part about planning this adventure by yourself though, is finding a place to stay. There are only a few basic hotels, which fill up very early. Many of the locals will open up their homes for visitors overnight, for a price. But even if you find a place, you’ll be staying in crowded conditions at a premium price. The other option is to contact us here. Let us help you arrange your travel to Paucartambo during a future July festival.